Dell Hambleton Protesters clash with private security guards at a construction site for the DAPL. New Renter Protections: The really big proposals to change Oakland's landlord tenant laws are on the November ballot as Measure JJ, the "Renter Protection Act." We'll write more about this before you go to the polls. 1. Requiring landlords who move into a two or three unit apartment building to prove they've lived there for at least two years before they can exempt their building from rent control. Currently it's one year. This is an important shift because owner move-in evictions are sometimes used by landlords to remove tenants who are otherwise protected by rent control and just cause. After getting rid of the older tenants, a landlord can increase rent on the units by as much as they want. 2. Require landlords who want to increase rent by more than the consumer price index-adjusted amount to petition the rent board for permission to do so. Currently landlords can do whatever they want, and it's up to a tenant to know their rights and file a petition within 60 days if they think their landlord has increased their rent by more than the allowable amount which is set each year by the rent board, and which can only be exceeded under special circumstances. The new rules being proposed by Kalb, McElhaney, and Guillen would also increase the amount of time a tenant has to petition the rent board from 60 to 90 days. The councilmembers’ proposal would also prevent landlords from "gold-plating" housing units with fancy, unnecessary improvements to drive up the rental price, and require that landlords spread the costs of capital improvements over the useful life of the improvement, rather than pass the expense on in one or several large rent increases. New Privacy Commissioners: Mayor Libby Schaaf and Councilmember Larry Reid are each making an appointment to the Oakland Privacy Commission. Schaaf's appointee is UC Berkeley Associate Professor at the School of Information Deirdre Mulligan. With a degree from Georgetown University, dozens of publications, roles advising global companies like Intel and Microsoft, Mulligan is a heavy hitter in some of the exact fields that the city's new privacy commission will have to grapple with. Reid's appointee is Robert Oliver, an executive of two companies that run residential treatment programs. Oliver also used to work as an Oakland police officer and is knowledgeable about the department. 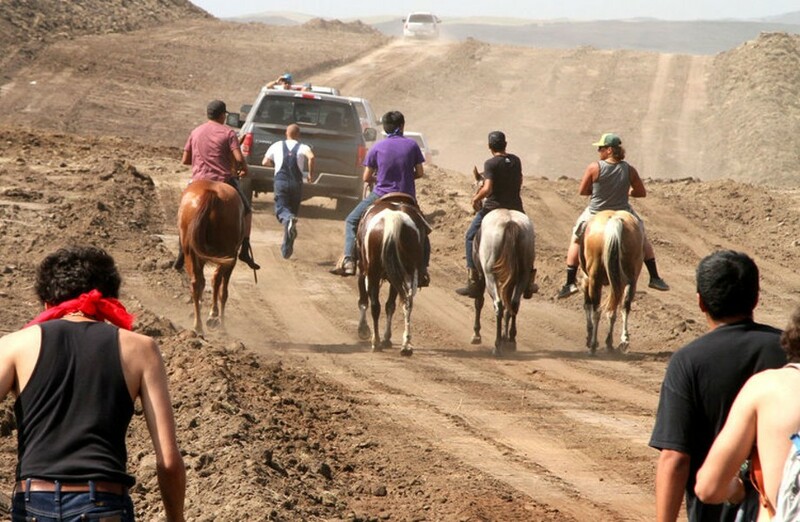 Standing Rock Sioux: The Standing Rock Sioux have been leading a fight against the construction of a 1,100 mile oil pipeline that will cross 209 rivers and creeks, and impact sacred tribal territory. The City of Oakland is offering the Standing Rock Sioux its official support. "The City of Oakland, which sits on native lands of the Ohlone Tribe, continues to appreciate diversity of its community, their culture, and beliefs," reads a staff report accompanying the resolution. Oakland's resolution supporting the Standing Rock Sioux would notify the federal government that the city doesn't want the Dakota Access Pipeline built. The Oakland City Council recently banned the storage and handling of coal inside the city, and has previously passed resolutions against oil trains and other fossil fuels projects. Correction: the original version of this story stated that the Oakland city council stripped the gold-plating and useful life capital improvement cost sections from the ordinance they’re considering tomorrow. The council in fact retained these parts of the legislation. Also, the council will vote on a requirement that landlords petition to increase rent above the CPI-adjusted amount, not above five percent.